Raskar, who directs the Camera Culture research group at the MIT Media Lab, is this year’s recipient of the Computer Graphics Achievement Award. The acronym ACM SIGGRAPH stands for Association of Computing Machinery’s Special Interest Group on Computer Graphics and Interactive Techniques. Its annual conference started in 1974, with computer graphics visionary Carl Machover (whose son is Media Lab principal investigator Tod Machover) among its revered pioneers. 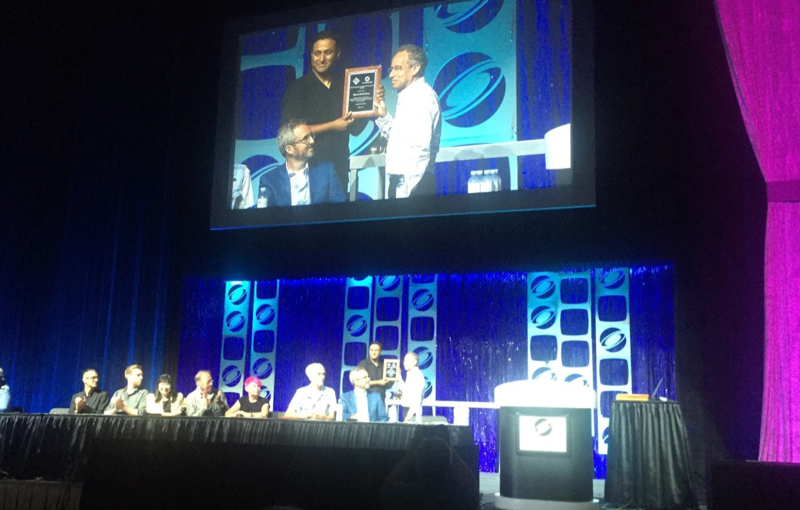 Since the 1970s, SIGGRAPH has grown into the world’s largest conference in the field — a venerated venue for sharing new technology and research. Raskar has been among those presenting in the past. “Ramesh has made many seminal research contributions over the past two decades,” said Cohen. The 2017 award specifically cites Raskar’s “numerous, impactful research contributions in computational imaging and light transport. Ramesh has advanced the field in a wide variety of areas, including femto-photography, light-field displays, and augmented reality.” SIGGRAPH also recognizes Raskar’s work with colleagues on “compassionate applications for cutting-edge imaging technology” such as the work he’s done in improving eye care in the developing world. Raskar is also the founder of Emerging Worlds, an MIT-based group that’s focused on rolling out innovative citizen-based technologies using a framework that supports the wide-ranging needs of urban populations. It’s a co-innovation initiative aimed at solving problems in areas such as health, education, financial inclusion, food and agriculture, housing, transportation, and local business. In accepting the award, Raskar acknowledged other exciting research at the Media Lab, such as that of Mediated Matter group head Neri Oxman who has spoken at previous SIGGRAPH events. Indeed, the Lab has long had a significant presence at the annual conference, especially as speakers and panelists. In the mid-1970s, Nicholas Negroponte (who later co-founded the Media Lab) presented several seminal papers on interactive and computer graphics. His successor, Media Lab Director Joi Ito, was the keynote speaker in 2015, highlighting the intersections of creativity. The Media Lab’s Responsive Environments group has also given to, and gained from, SIGGRAPH connections. It was represented this year by Don Derek Haddad who presented a paper, called Resynthesizing Reality: Driving Vivid Virtual Environments From Sensor Networks, based on the DoppelMarsh project. What is the right addressing scheme for India? Speakers at the City Science Summit 2018–hosted by the MIT Media Lab City Science group and Tongji University.